Bananagrams is a fast-paced, word-building game where players race against each other to construct crossword grids from Scrabble-like letter tiles. 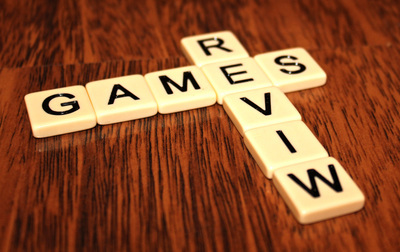 Given its low price point and the enormous fun the game can provide, Bananagrams is a recommended addition for any game collection. 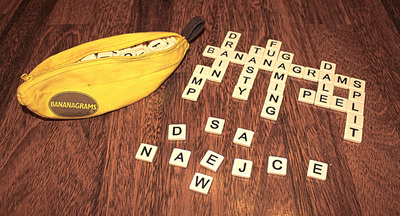 Bananagrams comes in a zip-up banana! Extremely portable, fast to play, and requires minimal set-up. Accommodates many players, and works very well with teams. Simple to understand, meaning even younger kids can play. It has little depth and can potentially grow repetitive. Wordy friends tend to dominate. Belying its portability, the game requires a fairly large play area. Any words will do to complete a Bananagram grid. Except ones that are spelled incorrectly. If you have any of these at the end, you will be disqualified! 144 letter tiles are turned face down, mixed, then each player picks fifteen. One player yells, ‘Split!’ and the game’s off. 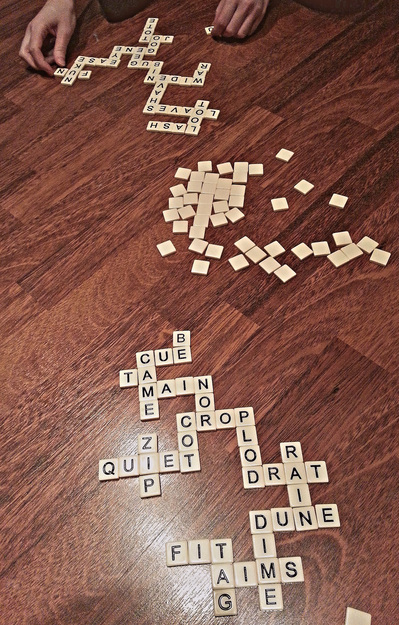 Tiles are flipped, organised, and soon words are forming all over the table as players organise them into crossword grids. When players use all their letters, they shout, ‘Peel!’, and everyone has to take another tile from the centre. This cycle of completing grids then drawing new tiles continues until all the letters have been drawn. Then it's race to be the first to call out, ‘Bananas!’ when all of one player's tiles have been slotted into a single grid, winning the game. That, in a nutshell, is Bananagrams, and it is absolutely brilliant. There are no turns, no waiting for other players, no bonus for long words over short words, no complicated rules to master. It’s just fast, simple play using letter tiles to form interlocking words, and it’s sublime. Neither of these two grids is better than the other. As it all moves so quickly, a single game rarely lasts for more than five minutes, which makes it a perfect time-waster between other activities, and gives everyone a chance to win if you play several times. Indeed, the rules suggest a Best Of variant where the first to win 5 or 10 games is declared the overall winner. 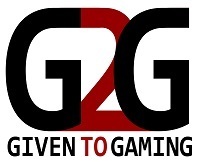 Games are so fast that reaching 10 wins, or even 20, can happen in a surprisingly short time. Although Bananagrams is designed for 2-7 players, it can also be played solo, where you try to beat your best times to create a grid, or be played in teams, where several people work together to create their grids. Solo play can be a bit dull, but team play is always fun. And not only is Bananagrams a whole heap of fun, but it can also be a great educational tool for kids. My 8-year old daughter does not have a very broad vocabulary, but it's more than enough for her to play the game independently, or team up with an adult. She always enjoys marshalling her tiles into connected words, pitting her wits against her parents, and learning new words. Any game that engages adults as easily as kids, and is also education at the same time, is a great game in my book. Even more impressive is the asking price; Banangrams costs about the same as a single cinema ticket. It's an absolute bargain! Really, there is no excuse: if you play games at home, you really should own Bananagrams; it’s cheap, fun, and simple enough for anyone to play immediately.